Hello everyone and sorry if this has already been discussed. I downloaded geth, and followed the instructions found here www.cryptocompare.com/mining/guides/how-to-mine-ethereum/. I followed the instructions but there are 2 things that bother me. 1) I created this "account" to start mining but this is just a test pc to figure out if I am able to do it before I buy a better set up. I will have to go through this process once again, won't I ? 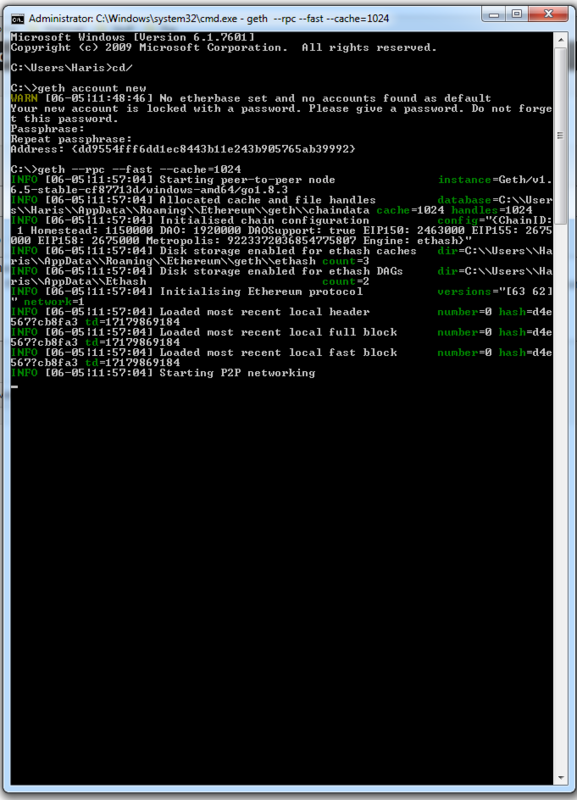 2) I attached an image, as you can see my cmd is stuck at "Starting P2P Networking" for like 40-50 minutes or so. Is this how it is supposed to be ? Will I know once it is finished ?